“Twin Earths” was a syndicated newspaper strip which ran from 1952 to 1963 in a number of American newspapers. It somehow came to be reprinted in comic book form by Atlas Publications/Gordon & Gotch mainly for Australian consumption in the 1950s/early 1960s although it looks like some of the later issues may possibly have been available in the UK. The whole premise of the plots revolved around the existance of a duplicate of the planet earth orbiting (and behind) our sun and consequently forever hidden from our view. The inhabitants of this “other” earth were more advanced than ourselves and travelled here via flying saucer. As jpg images of “Twin Earths” 13 recently appeared on a UK comic book forum I became curious enough to collate the images into a cbz file and to try and find out more info about the series. There didn’t seem an awful lot of info to be had. Typing “Twin Earths” into Google mostly sends you into an Electrician’s world of Twin and Earth cable. However, the Book Palace does show the covers of all 29 issues from the first series. There was a second series (in the early 1960s ?) which oddly began at issue No 11 and even more oddly featured the same cover picture on issues 13, 14 AND 15 !!! 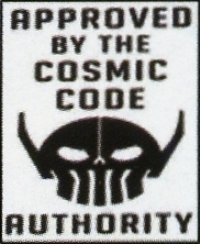 Twenty years ago a company by the name of R. Susor Publications re-printed a number of “Twin Earths” strips in comic book form in the USA. Since then this other planet earth seems to have vanished. Actually, I quite enjoyed the ‘Twin Earth’ tales when they were serialised in ‘Tarzan Adventures’ magazine in the UK in the late 50’s..! I didn’t know that. Do you recall who published the weekly “Tarzan Adventures” magazine? The only Tarzan comics I saw (and avoided) as a kid were the very average looking Tarzan comics from Top Sellers/Thorpe and Porter in the 60s/70s. Don’t know if they were reprints from Europe or the USA.They certainly weren’t a patch on the Hal Foster or Hogarth Tarzan comic strips of yore.